"Absolutely indispensable! An important resource in the struggle." Ken Loach, film director "Your book is just what we need at time when the American Left gets no coverage in the world's press and yet remains the hope for America and the world." Tony Benn, President, Stop the War Coalition "[This book] challenges the simplistic perception of Americans as SUV-driving, war-loving couch potatoes. There's a movement for peace and justice and this book gives it a voice." Mickey Z., writer With contributions by five Nobel Peace Prize winners, former government officials, scholars, religious leaders, journalists, activists, and prominent cultural figures, the documentary film XXI Century explores American reactions to recent global events captured through the lens of interviews and political rallies. This book presents selected excerpts from the filming of prominent U.S. citizens voicing their view on Bush administration policies in the century. These events include the much-contested 2000 election, the September 11, 2001, attacks, the impact of the USA Patriot Act, the accelerated growth of peace movements, the recruitment of U.S. soldiers, U.S. policy and attitudes toward the Middle East, sanctions and war in Iraq, and human rights violations. The speakers also consider how the rise of media spectacle and punditry at the expense of quality journalism inhibits the ability of Americans to react to these events as informed citizens. The voices of Americans, both ordinary and famous, resonate with passion and urgency in response to the injustice and far-reaching effects of the current U.S. foreign policy. 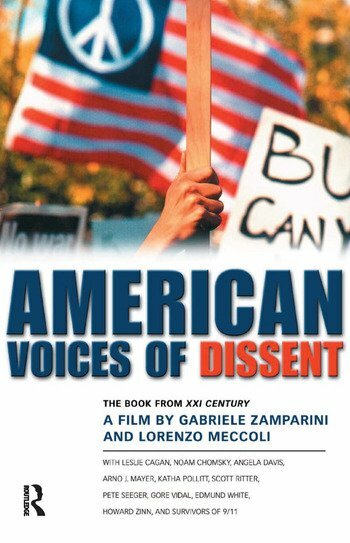 American Voices of Dissent highlights the other side of the story and makes a case for global solidarity against U.S. imperialism.